This is a bit of a different post from me today, we are still on the lines of an outfit of the day but I thought I would change the concept slightly, what a better way than to help inspire others on outfit choices for a night out, it is the start to the weekend after all. It doesn't have to be for a big night, it could be a trip to the local or a restaurant. 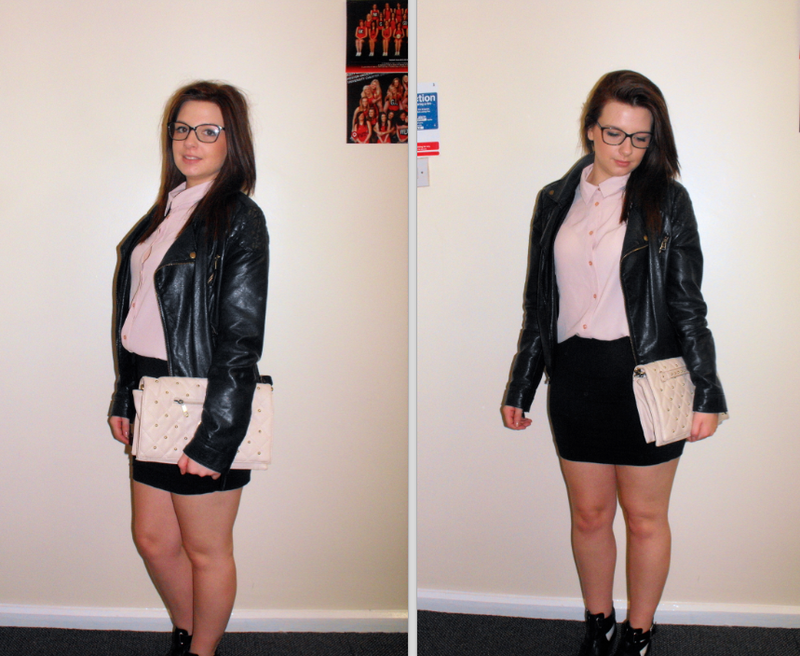 This pink and grey shirt is from Primark (I told you their shirts would probably be feature heavy in my posts), I teamed this with my black mini cotton skirt and a leather jacket for warmth. By tucking the shirt into the skirt it gives a more sophisticated and neater look. The black cut out boots with little white ankle socks give the outfit a slight edge, I picked these instead of heels for something a little different however you don't have to do this. You can dress the outfit up more by adding a big statement necklace and a fancier clutch bag.